Valley Girl has the pleasure of a women’s fiction novel author, Phyllis Zimbler Miller, Mrs. 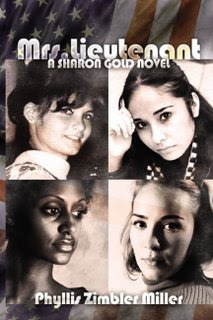 Lieutenant: A Sharon Gold Novel (Booksurge, Apr. '08) as she joins us to talk about her book and her experiences with living in the San Fernando Valley. They had their whole lives to look forward to – if only their husbands could survive Vietnam. Sharon is a Northern Jewish anti-war protester who fell in love with an ROTC cadet; Kim is a Southern Baptist whose husband is intensely jealous; Donna is a Puerto Rican who grew up in an enlisted man’s family; and Wendy is a Southern black whose parents have sheltered her from the brutal reality of racism in America. Read MRS. LIEUTENANT to discover what happens as these women overcome their prejudices, reveal their darkest secrets, and are initiated into their new lives as army officers’ wives during the turbulent Vietnam War period. I understand that you lived for a considerable amount of time in the San Fernando Valley. Would you share your experiences with us about living in the valley? Phyllis: I love to tell the story of the moment when my husband and I decided we were going to move to Los Angeles. January 1, 1980 – We fly from Philadelphia, where I’m in my second year of an M.B.A. program at The Wharton School of the University of Pennsylvania. Of course it’s cold and gloomy in Philly. To speed up the story – we moved here at the very end of June. We didn’t know that LA apartments don’t come with refrigerators. That first July 4th weekend we spent at the K-Mart on Fairfax buying an ice chest, etc. to tide us over. Twenty-eight years later I still get a thrill every time I drive east on Olympic Boulevard and approach the intersection with Century Park East. For that moment, before I dip into Beverly Hills, I can see the mountains beyond Pasadena with their snow-capped tops. To someone who grew up in the flat and very cold Midwest (Elgin, Illinois), this is quite a sight. There’s another thrill from living in LA that I still get – and it’s one that started that day in K-Mart in 1980. I love hearing all the different languages around me – whether I’m in the waiting area of a terminal at LAX or my neighborhood Starbucks. In Elgin the only language I ever heard was English. Here I hear – to name just a very few – Yiddish, Russian, Farsi, Hebrew, Hungarian, and, of course, Spanish. The only downside of living in LA is that a tremendous number of other people since 1980 has discovered the city. This means that traffic – and I’m not talking traffic on the freeways – has gotten increasingly more congested. And finding a parking space can be surreal. To compensate, I plan my shopping stops and restaurant visits based on time of day and available parking. And because those of us who live in LA want to look fit all year round, my business partner and I have a morning meeting on side-by-side treadmills at an LA Fitness center. Right now, thanks to the publication of my book MRS. LIEUTENANT: A SHARON GOLD NOVEL, we’re busy discussing online book promotion techniques. It’s a brave new world out there, and we’re trying to learn it while walking off the fat! MRS. LIEUTENANT VIRTUAL BOOK TOUR '08 will officially began on June 1, 2008 and ends today. If you would like to follow Phyllis' tour in progress, visit http://www.virtualbooktours.wordpress.com/ in June. Leave a comment on her blog stops and become eligible to win a free copy of her book! One lucky winner will be announced on June 30! hey, Phyllis, I can't wait to read this book! By using CarRental8 you can discover the most affordable car hires at over 50000 locations globally.